Note:A tax conference and a vacation interrupted my blogging for a few weeks. Happy to be getting back on track. The conference gave me dozens of article ideas! Everyone I know has had a bill they couldn’t pay at some point during their life. Sometimes it’s due to a work interruption. Sometimes it’s a wake-up call to get a grip on your budget. Sometimes it’s caused by circumstances beyond your control. Whatever the reason, most of us have ‘been there and done that’. When Tade and I were just starting out together it seemed like we never had enough money. We were living pretty well while we were dating, but then she quit her good-paying job to follow this sailor around the country and we got behind in a hurry. There were many months when I had to decide which of our creditors wasn’t going to get paid. I never pre-coordinated any of this with them, of course. I was too proud and embarrassed to tell them they weren’t getting paid. I would just not send them a payment and then catch it up whenever I could. It isn’t the best way to approach this situation, but it worked out OK. This worked because my creditors were credit card companies and utilities. Can you handle a tax debt in this same manner – bobbing and weaving, dodging bills some months and sending some money the next? What do you do when it’s the IRS you can’t pay? You figure your taxes for the year and you discover you owe an amount you cannot pay? Do you treat the IRS like any other creditor – just sort of ignore and avoid them until you can afford to make it up later? The IRS is NOT just any creditor. The IRS is the most potent creditor on the planet. Congress has granted them collection superpowers. Your credit card company has to prove to a judge that you owe them money before they can put a lien on your property. The IRS does not. If the IRS says you owe them money, they are presumed to be correct. They can levy your bank account, garnish your wages, and put a lien on your property without going through the courts. Fortunately, it is easy to avoid these harsh measures by staying as compliant with the tax laws as possible, even if you can’t afford to pay your entire tax bill. 1. File your tax return. The IRS can charge penalties for failing to file your tax return, and those penalties are initially TEN TIMES HIGHER than the penalties for failing to pay your taxes. 5% of the tax owed per month up to 25% of the total tax can be charged for failing to file your tax return. 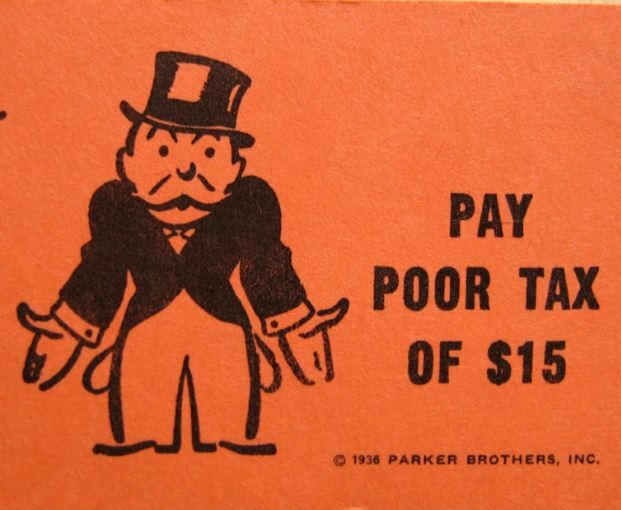 Failing to pay your taxes is only a 0.5% penalty per month. Trying to hide from the IRS by avoiding filing your tax return will end up costing you more in the long run. 2. Pay as much as you can at the time you file. I see news stories from time to time about the IRS confiscating someone’s home or bank account, shuttering their business, or some other draconian method of enforcing a tax bill. The press does a good job of making the IRS look like a bunch of power-drunk cowboys, but this is rarely the case. The IRS will work with you to get your tax bill paid with the minimum disruption possible to your life, but you have to make some effort to cooperate. Paying part of your tax bill when you file demonstrates your intent to be cooperative. 5. Offer in Compromise. The IRS must collect taxes owed within ten years from the time the tax return assessing the tax is filed. If there is no way for you to be able to pay your tax bill within this time frame you can request an offer in compromise. An offer in compromise is a negotiation between you and the IRS to reduce the tax you owe to an amount you can afford to pay. Essentially, you present the IRS with an amount you are able to pay, and they will determine whether to accept or reject your offer. The IRS will evaluate your ability to pay by analyzing your financial status; your assets, income, and expenses. If the amount you offer to pay represents the most the IRS believes they can collect from you within a reasonable time period they can approve your offer. Death and taxes are certain. If you can’t pay your tax bill don’t try to hide from the IRS. Be proactive and engage with the IRS. Things will often go better for you if you do. If that seems too stressful or too much bother, hire someone to represent you. You will most likely be happy you did. If you have any questions, please contact me.